On November 19th, we had another installment of our Honors Roundtable events, this time with Professor Sumanta Goswami. His presentation, “From the Himalayan Heights to Washington Heights: A Personal Odyssey in Science, Philosophy, and Religion,” focused on his beginnings in India, and his education, travels, and professional career, both before and after joining the Yeshiva University/Einstein College of Medicine faculty in September 2006. Professor Goswami shared with us his personal philosophy about science and religion, both of which aim to attain the absolute. He also discussed the professional projects that he is working on, with a focus on cancer research, and the ways in which his students have been able to participate, gaining useful experience in the field and making significant contributions to the work. He described the basic idea behind his recent research in personalized cancer therapies and explained why he sees the future of the field going in that direction. 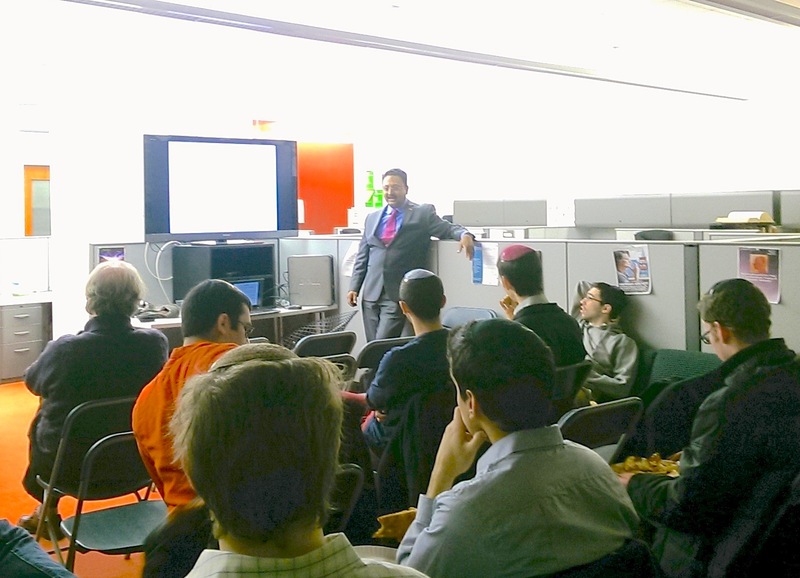 Thank you to all those who attended and especially Professor Goswami for coming to speak to us.